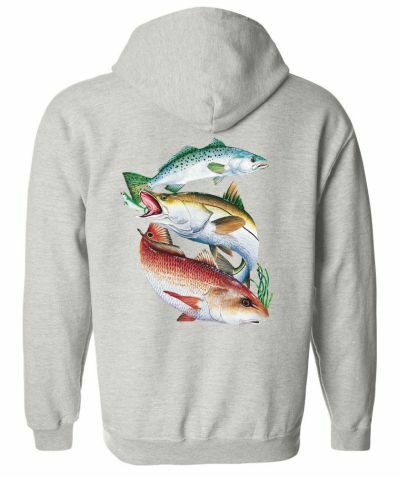 Enjoy this 50% cotton/50% polyester, pre-shrunk Freshwater Fish front zip hoodie, professionally heat pressed with the Inshore Slam Snook & Redfish design. The image will be pressed on the back of the hoodie. 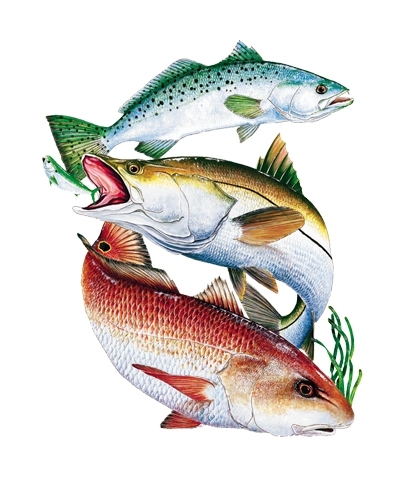 Available in a variety of sweatshirt colors and sizes, this Inshore Slam Snook & Redfish hooded sweatshirt is sure to be a hit! Approximate image size is 11x13 inches. 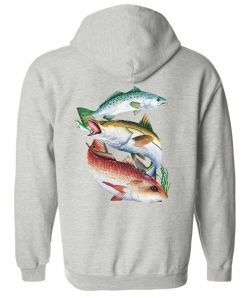 Enjoy this Freshwater Fish zip front hooded sweatshirt, professionally heat pressed with the Inshore Slam Snook & Redfish design. Hoodie images are printed with lasting inks to resist fading. Some sweatshirt colors are available in extended sizes as special order. These special order shirts may take up to two additional weeks to ship and are non-refundable. These zippered hoodies are made of 7.75 oz. 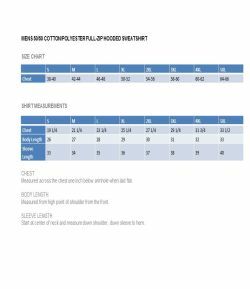 pre-shrunk 50% cotton/50% polyester. To keep your sweatshirt looking great longer, we recommend washing in cold water with the garment turned inside out. The image will be heat pressed on the back of the hoodie. 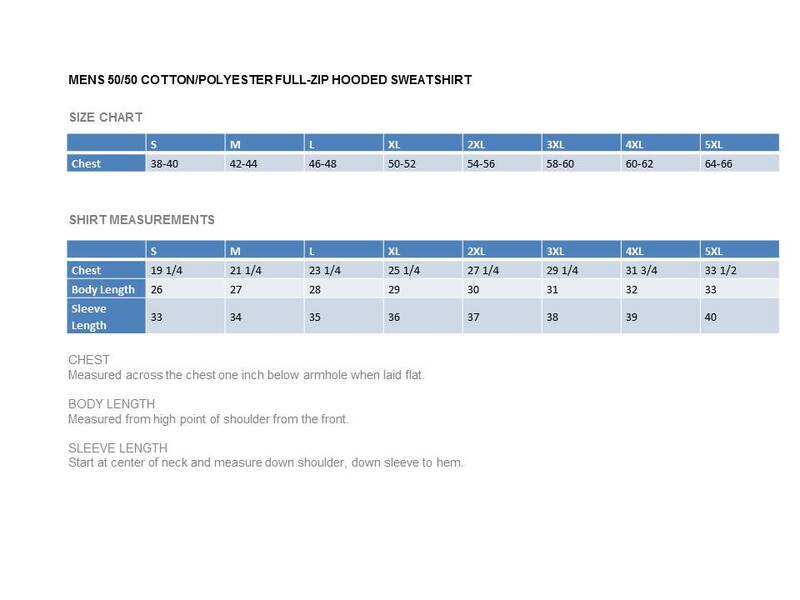 The image size, color and placement on the sweatshirt may vary from image shown depending on image style, sweatshirt color and size of sweatshirt chosen. Image color may be slightly less vibrant than shown.